Sergio Perez has been pleasantly surprised from what he has seen from Lance Stroll so far at Racing Point. Lance Stroll was able to move on from lowly Williams after his father, Lawrence, completed his takeover of cash-strapped Force India in 2018. Now fully relaunched as Racing Point, Lance now has the opportunity to show that he does indeed belong in Formula 1 and is not solely relying on his father’s wallet. 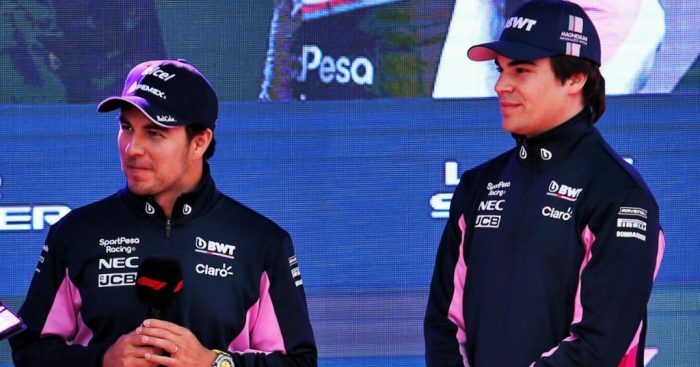 Stroll has been tipped to surprise a few people in 2019, and new team-mate Perez has been encouraged from what he has seen from the Canadian. “The thing that people forget is if they see you last in Formula 1 they think you’re really bad but 95 percent [of the performance] is the car,” Perez said. Perez went on to say that one attribute of Stroll’s in particular has stood out. He added: “I’ve been surprised by his level, his speed, but the thing that surprised me the most, to be honest, is his feedback. You don’t get to see that with the young drivers. “These days they are very well prepared, but just due [to the lack of] experience, you see all them giving feedback and you say ‘ah, they’re lacking a bit of knowledge in the car’, but with him, I’ve been quite surprised.